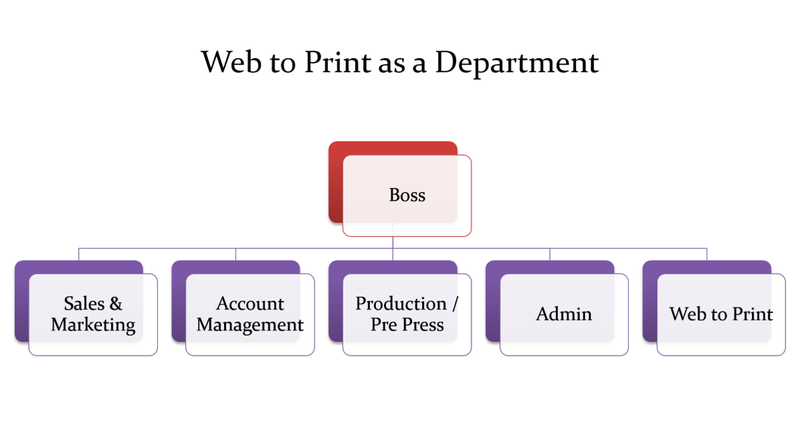 Below we look at two ways web to print can be integrated into your company and why you should go for the second option. This is the setup that causes most web to print strategy to fail. It can only work in the biggest organisations where you are able to move a whole team (admin, sales, marketing, account management, software user) under the new department. If that is possible then you do get some benefits, the key one being a team of specialists. The downside is that it is not the right way of thinking about Web to Print (almost as its own entity / company) and is probably not going to get the most out of your software. In small and medium size companies this will not work at all, in fact you could redraw the diagram twice as wide and have the Web to Print department right over on one side and the rest of the departments on the other, it just becomes a forgotten ghost department. A slight improvement is to put it under the control of another department. Where we have seen this before it has normally been under Pre Press / Production, an odd choice in our minds as that tends to be the least customer facing. It is still not the right way to go. This is much more like it. 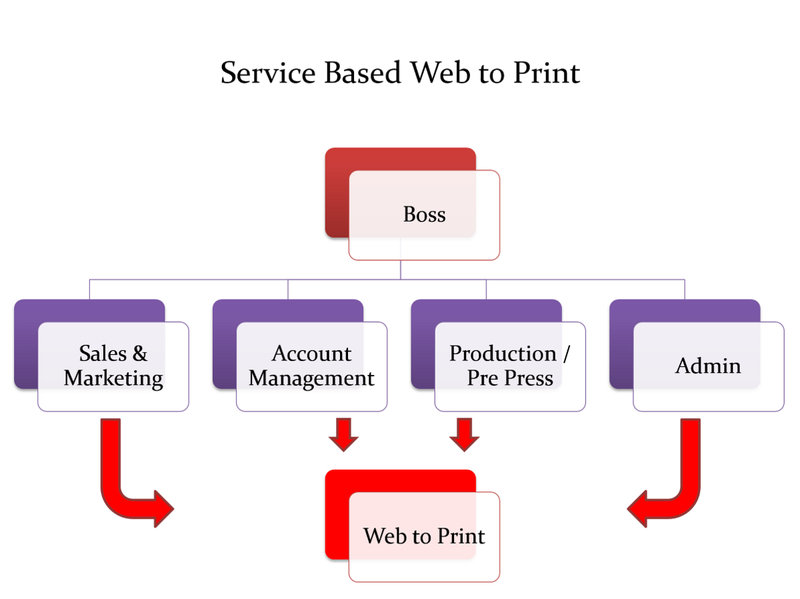 Think of Web to Print as a tool of your trade, a product or a service that you offer. 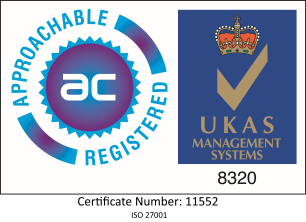 In fact that should be listed on your website under your products and services section, along with the likes of digital printing, litho printing, finishing, marketing etc. Quick side note here, is actually listing Web to Print as a service the right terminology for your customers? It might be if they know what it is. We will definitely talk about using your customers' language in a later section but for your website something more understandable by your customers might be better, for example Online Print Ordering. Why does this work better than being a department? Well everyone in the company is aware of it and everyone is responsible for making it work. For example a sales person doesn't set off each day with the attitude of today I will sell litho print, tomorrow I will sell digital. If you have two sales people it would be strange to have one working on litho and one on digital. They typically go out to sell print and work out what is the best method of print later on. If they know Web to Print is a service you offer they can be out selling that too. It gets better though, what happens if the new customer that sales just brought in comes back in a week and reorders with the account manager you assigned to them. The account management team knows about your Web to Print service too and a reorder is repetition and software is great at repetition. Lightbulb on moment, is this new customer suitable for Web to Print? Even your accounts department can spot repetition. So the takeaway here is treat your Web to Print software for what it is and integrate throughout your organisation for the best chance of success. Next we are going to talk about some of the key positions in an organisation and why they are important to your success online.